This was SJGR's first visit to this private home in Smithville NJ. We were called in to substantiate reports of apparitions, shadows, unexplainable illnesses, unidentifiable odors, and audio phenomena. During the course of the investigation, investigators picked up on spirits on the second floor the landing and in the first floor living room, dining room area. Nearly all team members felt the spirits were protective of the family. The physical evidence collected consisted of 7 EVPs, some of which appear to interact with investigators and their questions, and 23 positive photos with anomalies in them. Slightly more than 3.5% of the positive photos obtained falls within the normal range for this location, and some photos correspond to events investigators were experiencing at the time the photo was taken. There was one anomalous EMF reading, and two motion sensor readings. 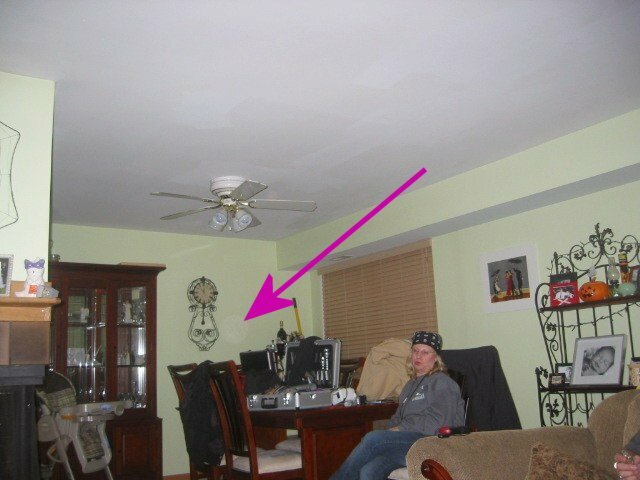 11:41pm - Investigator Haines took this photo at random during an EVP attempt with investigator Flatt in the Computer Room. 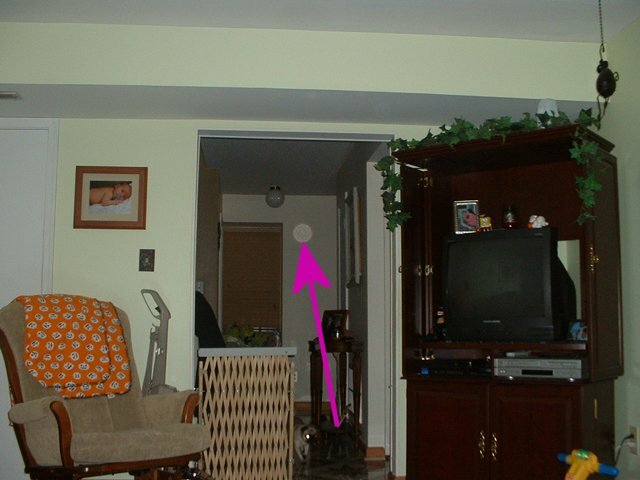 10:53pm – Investigator Smith took this photo during an EVP attempt in the Dining Room after hearing a disembodied male voice.